Smith’s supports CIS of Nevada! 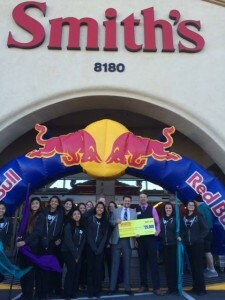 As part of the grand opening celebration of six new Smith’s Food & Drug Stores in the Vegas valley, the grocery store donated a $25,000 to Communities In Schools of Nevada. The gift will help CIS of Nevada in its ongoing mission to surround high-risk, low-income students with support and empower them to stay in school and achieve in life. We would like to take this opportunity to say a special THANK YOU to Smith’s for their generosity, as well as let everyone know how YOU can help support CIS of Nevada and the students we serve every time you shop at Smith’s! 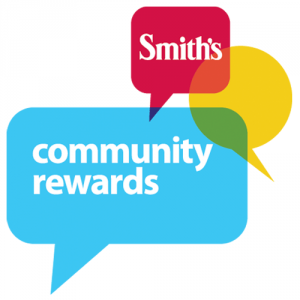 We are now partnered with them as part of their Smith’s Community Rewards program. Each year, Smith’s Food and Drug stores will donate over a million dollars to nonprofits. By registering your Smith’s Rewards card to CIS of Nevada, every time you shop and use your Rewards card, CIS of Nevada earns points towards fundraising. Log on here and use our nonprofit code 99099 or type in Communities In Schools of Nevada to link your Rewards card to our organization. Once again, our heartfelt thanks to Smith’s Food & Drug stores!